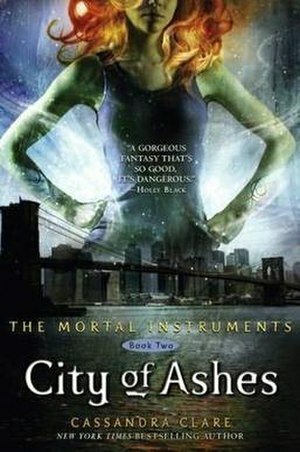 Up next is the second book in The Mortal Instruments series, City of Ashes by Cassandra Clare. This entry was posted on March 15, 2013 by Laney. It was filed under Current Reads, Young Adult Novels and was tagged with Cassandra Clare, City of Ashes, City of Bones, Clary, current YA reads, laney mcmann, Mortal Instruments, New York City, Valentine, YA Fiction, young adult novels. LOVED this series!!!! Cassandra Clare is genius. It’s got me totally hooked! Already onto City of Glass & It’s only been 4 days. And I have work to do! 😉 I am such a sucker for good books. I’ll be done with the series by Sunday. Guaranteed. Then I’ll be sad. It better end well! I’ll have to pick them up at the end. I’m too far in. I know they’re back in time Shadowhunters.